aura joon: Working from home. Today I've been working from home. Those are my favorite days, when I get to sit and just be in the moment of the peace and quite. It's such a welcome change from the busy salon, with buzzing stories, loud music, and blow dryers. Now that I'm in my 7th month, peace & quiet, rest, and the sunshine through the cracked windows are just about my favorite things. When the baby comes, I will go to four days a week at the salon, and spend the extra day working from home. 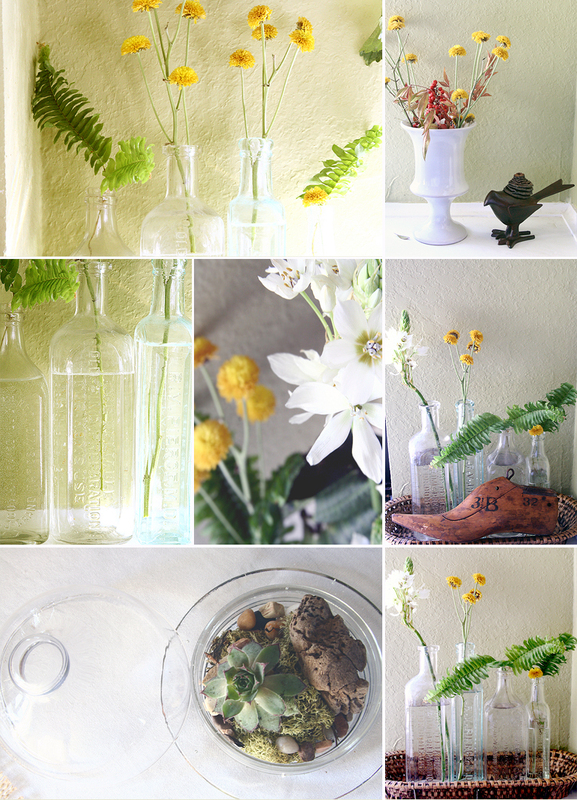 Today I bleached, scrubbed, styled, arranged, and photographed all the new little treasures I found for bark & leaves. It was a little taste of what my extra 3rd day a week off will be like in 2 months, except with a little baby to wear around. On these days where I am in every moment, not just going through the motions of life, but stopping to feel and smell and hear every sense around me, she is busy-beeing around in my belly, and making her presence known. Michael's work and school schedule has gotten so busy, that I spend a lot of time with her, just the two of us. At night when he's in class, she makes things a little less lonely, and when I start to feel like I'm staring at these empty walls with my cabin fever growing strong, I can feel little nudges, snuggles & pokes, reminding me that soon enough I will be outside, Spring will be here, and she will be my littlest tag-along. I've started working on these hair pins. I adore hunting for old treasures, cleaning them up, and photographing them looking their best, but I miss actually creating with my hands, and am going to be doing a bit more sewing in the next couple months. I found this photo from Summer and it made me miss everything about it. I am just not meant to live in a place where everything dies and the weather turns cold. 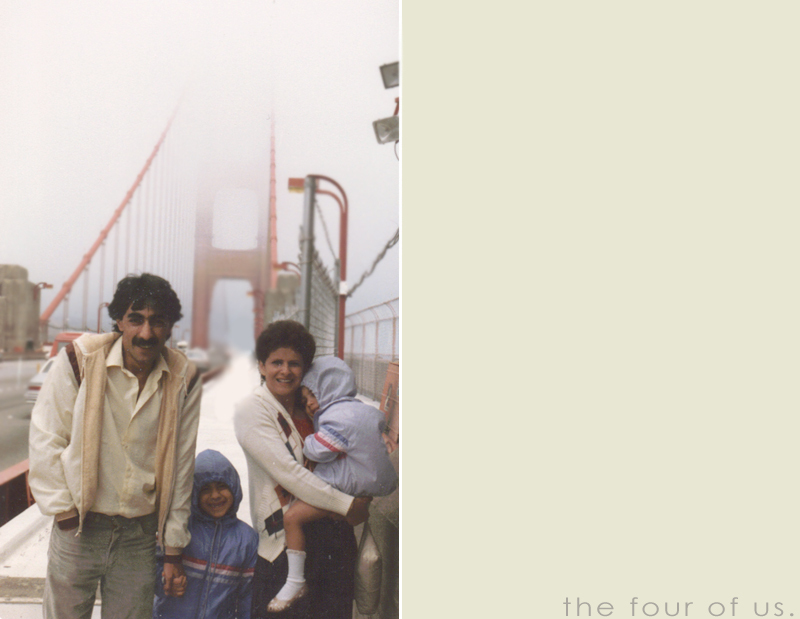 My parents, sister and me on one of our cross-country adventures, at the head of the Golden Gate Bridge. I want to stand in this same spot with our little bird, some day. I love this. 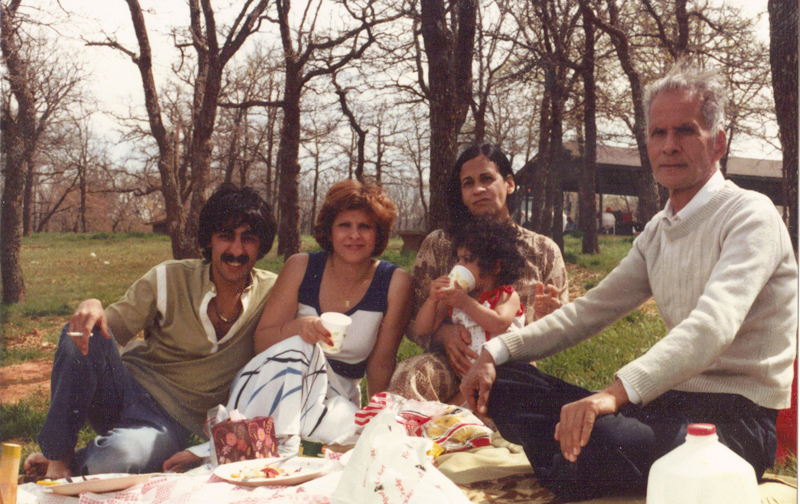 My Dad with his cigarette and bare feet, my Mom looking beautiful, Grandma & Grandpa still so young, and my sister, with her head full of dark curls. I hope you all had a wonderful day. i always look forward to your posts. your photos are always so inspiring and beautiful- as are you! i can't even imagine how wonderful it must be to be enjoying this time, just you and your little one. congratulations. Aura you are just too beautiful. How lovely is this life. goodness i love finding old pictures. such memories. Aura, I do not remember how I ended up coming across your blog, but I really enjoy reading and LOOKING at your beautiful pictures. I think the first blog of yours that I read was around last Christmas a year ago. I was fascinated by your thoughts, photo's and artistic abilities. My husband and I have just recently purchased a Canon EOS Rebel T2i - digital camera and I was wondering if you had a favorite lense & photo editing process that you use? The camera was bought partially because of the longing I had after looking at your blog and seeing the pictures. I have not even had the chance yet to really get to have fun and use it, but I am so looking forward to that. Congratulations on your baby girl, she will rock your world and all for the better! Thanks for any hints you might have. Ah, I can never never never get over how incredible you look! You make pregnancy look so effortless. By the time I was 7 months I looked and felt like a full blown whale, hahaha. And I am so excited about your "work from home" ventures. I have a million and one ideas stirring in my head that I hope to one day manifest as a reality as far as working from home goes. At least until all of our children are in school. You're smart to have gotten the ball rolling before the little bird comes - I already can hardly fathom finding enough time in a day now to accomplish any of my goals, haha. Hopefully things will be a little different once we get moved home and Stephan isn't gone for days/weeks/months on end. You are above and beyond inspiring, Aura. As always! You are the cutest pregnant woman I have ever laid eyes on. So beautiful. Random but the golden gate bridge (and sf) are my all time favorite spots. I have so many fond memories of living out there and walking the bridge. You make me miss pregnancy. When I was actually pregnant I was so anxious to finally meet my little man that I didn't take the time to soak everything up and just be at peace in the moment and I regret that now. You look amazing, completely glowing and happy! i love your outfit, that dress/nightie i don't know what but love it thing! you always look so chic but comfortable! Ahh a breathe of spring...as I'm getting another few inches of snow and sleet! And thunderstorms at the same time! I bet it is so wonderful getting to work from home, enjoying your pregnancy the way it should be enjoyed! I, too, have a difficult time staying in a positive mind-frame in the winter months. I live in Alberta, Canada where the winters get pretty nasty too. Could you be any more adorable? You've got the cutest - and I mean CUTEST - baby bump. my favorite, though, were the pictures of your family. There is this American Express commercial where the people in it remind me SO much of your family. I wish it were on youtube (unless you know what I'm talking about??). During both of my pregnancies, I read aloud to my babies. It might sound strange, but I felt like it was important bonding we could do even while they were in utero. It's funny, but both of my daughters loved to be read to from the day they were born, and I'm convinced that their prenatal exposure to literature played a role. you are such a beautiful pregnant lady! i love the last picnic picture, your grandparents have not aged! thank you for such inspirational posts! i hear you about night classes...and the semester just started. i'm ready for my husband to be done with school! and i'm hoping to have more time off when our baby gets here in august or just staying home all the time would be extra nice! ;) you look so beautiful and baby will be here so soon. it seems like it's gone by so quickly! LOVE seeing those yellow flowers, color of sunshine. Beautiful pictures of you. Your daughter will looove seeing them some day. Adore old family pictures too. I'm so interested in my parent's life, coming across pictures is always exciting. OOOOOO! Beautiful, as always :) Will you be selling flower pins on Barks and Leaves? PLEASE? Love how bright and airy everything looks, you really have a gift when it comes to decorating and photography. The family photos are so touching! We have very few if any pictures of my entire family together during my childhood, and we never went on trips. I still had a great childhood and roamed the hills and woods as long as I pleased but I want that AND the trips for my kids. We are very excited to be moving to Northern California in 2 weeks, we'll be just a short drive from San Francisco, the coast, and many other amazing places. I can't wait! i absolutely love the hair pins, gorgeous. Wow our dads look really similar in old pictures. You are so beautiful and I love your belly pictures! 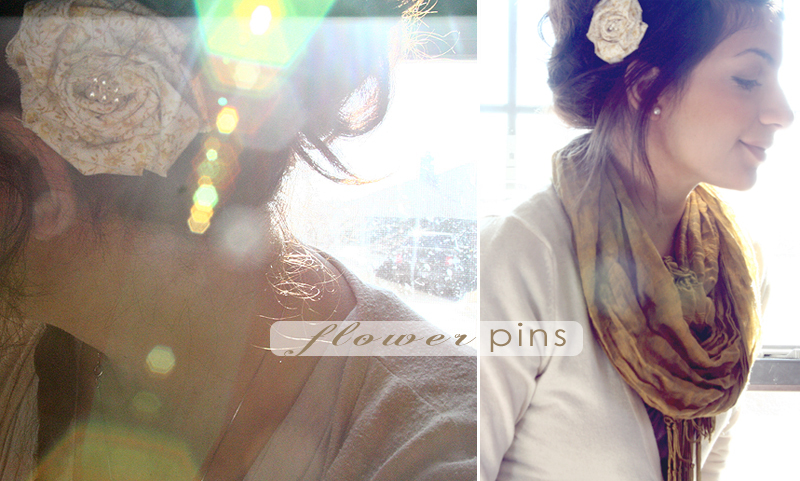 Those hair pins are gorgeous too and I need to figure out paypal so I can nab one. I have precious memories of traveling with my family too and I love that now it's my turn to do the family vacations with my children. We've had nothing but snow and ice this winter and like you, I'm dying for summer and sunshine. I keep counting down the months until spring and pray that it comes early this year! love the golden gate bridge shot! when you come we will have to meet! 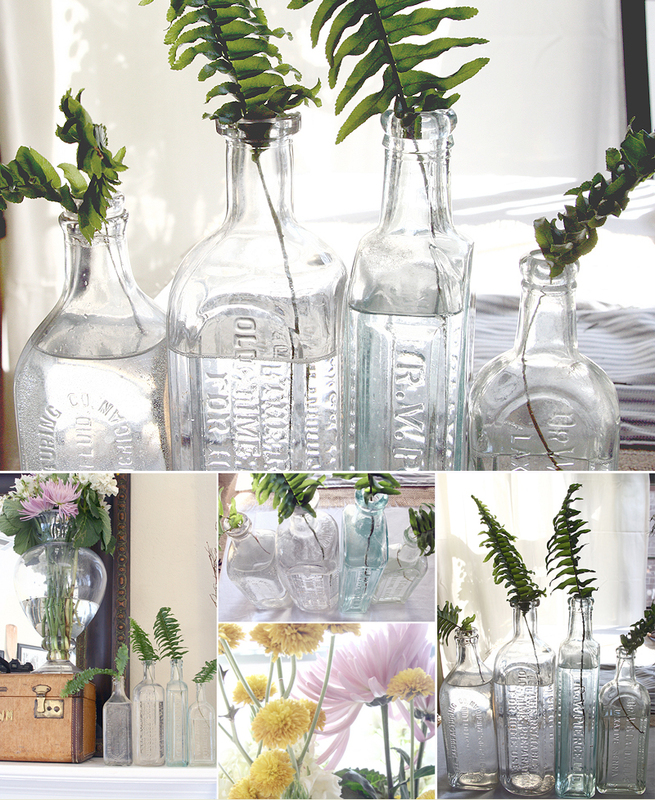 I also love those vintage bottles with the fern cuttings - too cute! Reminds me of things I've found at Birdie on campus. Have you been in there? I love that shop and recently ordered my wedding bouquet from there! By the way you look gorgeous pregnant. Aura, you look out of this world! For real. This is me filing an official complaint. All kidding aside. I'm serious. Not even joking. Can you please save some cute for the rest of us girls? You're making us look bad! Ha ha. On the complete other hand, are your grandparents on your maternal or paternal side? Or have you already specified that before, somewhere? I'm putting my money on maternal, because I see so much of your mother in your grandpa! Are you other set of grandparents still living in Iran? Have you met them? Apologies for the barrage of questions! Anyway, you're splendid. Babies are a little more work than tag-a-longs! My children are 6 and 3.5 and I stay home. I am just now feeling as though I can get stuff done and spend a little bit of time on myself. Motherhood is challanging but rewarding. It is common to have to put yourself on hold for awhile until the babies are a little older. My biggest piece of advise (not that you asked!!) is to nuture your relationship with your husband. A strong marriage is the absolute key to a happy and healthy family. It is easy to completely focus on the kids but remember to carve out sometime for your relationship. You will find soon enough that this is easier said than done! You will shortly be entering the world of the tired, underappreciated and BLESSED! I am watching you grow along with your baby (I'm not talking about girth -- you look beautiful) Motherhood suits you. You seem (read) calmer. Cherish the beauty quiet moments afford. Cherish each and every moment of this wonderful life. Your family is so beautiful. This town where I live is full of familys from northen African countries and the girls are so beautiful, i wish i would have their great dark hair and dark eyes. beautiful. oh my gosh, i absolutely DREAM about being a beautiful pregnant woman like you...i'm only 4 months but i certainly hope I look as wonderful as you do at 7 months! Come visit us in California! We can go explore San Francisco with babies in tow! 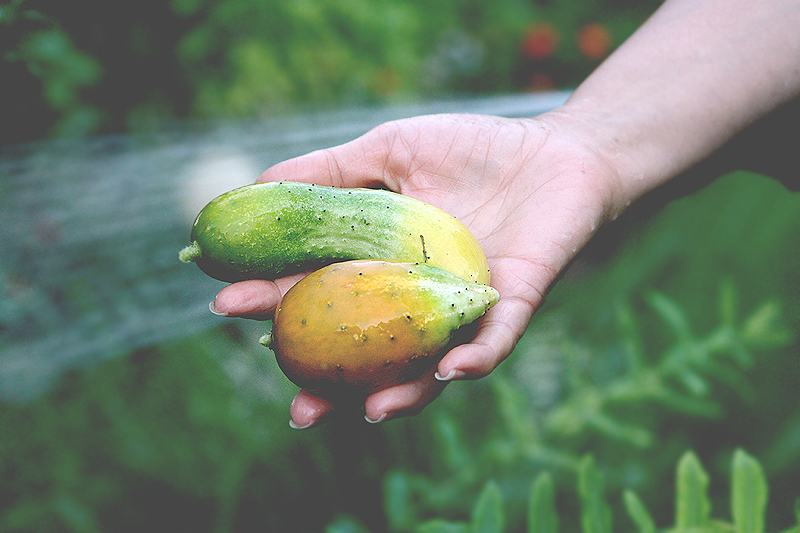 I've been following your blog for awhile now and it is a definite favorite! I love your perception of life, thoughtfulness and sense of adventure!! Just wanted to say hi =) You're gorgeous inside and out! 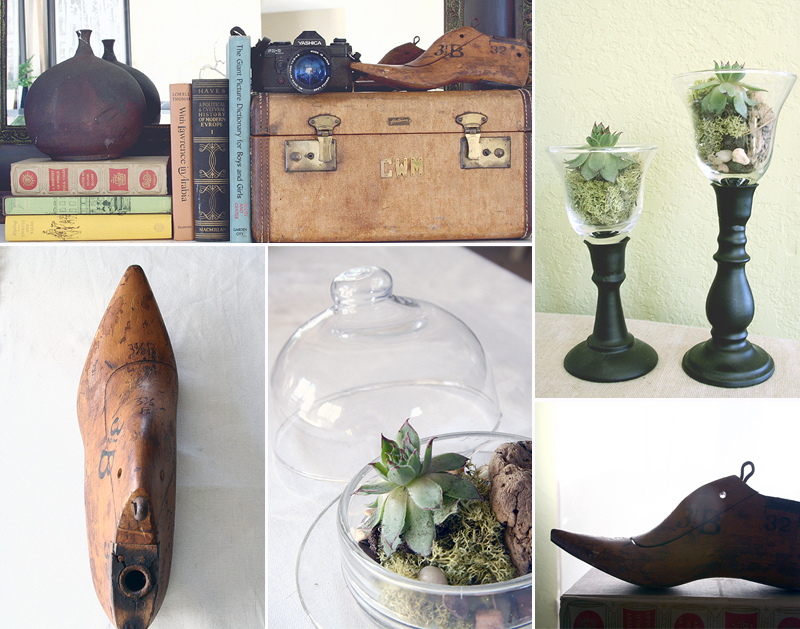 The ferns in the glass jars - I am so doing that tomorrow! 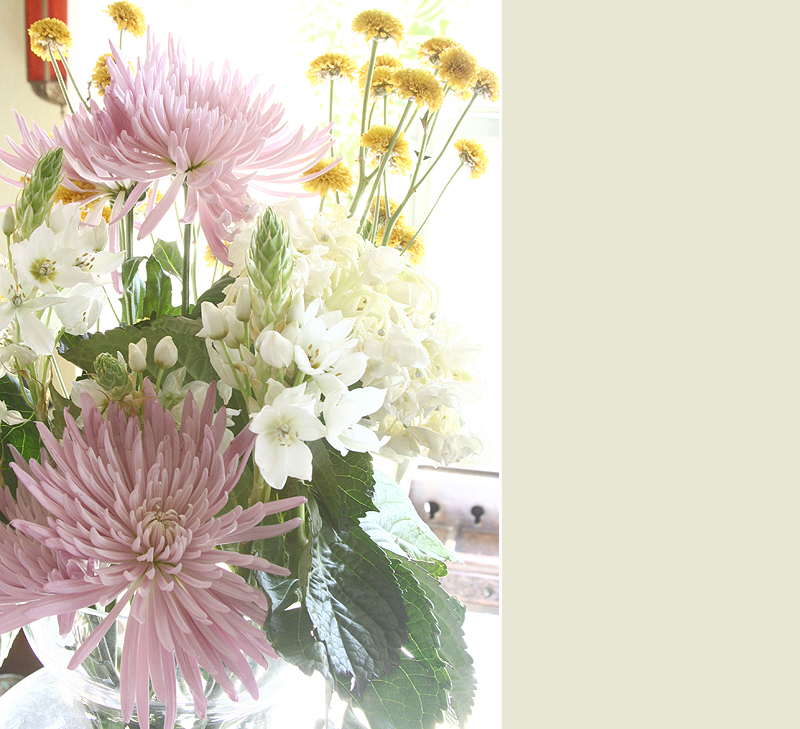 Love love love the picture of those beautiful flowers. I feel like I want to get all posts from your blog printed like a magazine so I can open it up whenever I want to for inspiration. Thank you, friends! I always appreciate your sweet words. Yes, the pins will be on bark & leaves, very soon! I just have to pick some pretty fabrics and get a few made. Tammy- I use a Canon EF 28-135mm lens with my camera. I don't really have a set process as far as editing goes. Normally I just have to lighten photos a bit if they're dark, and I might adjust colors. 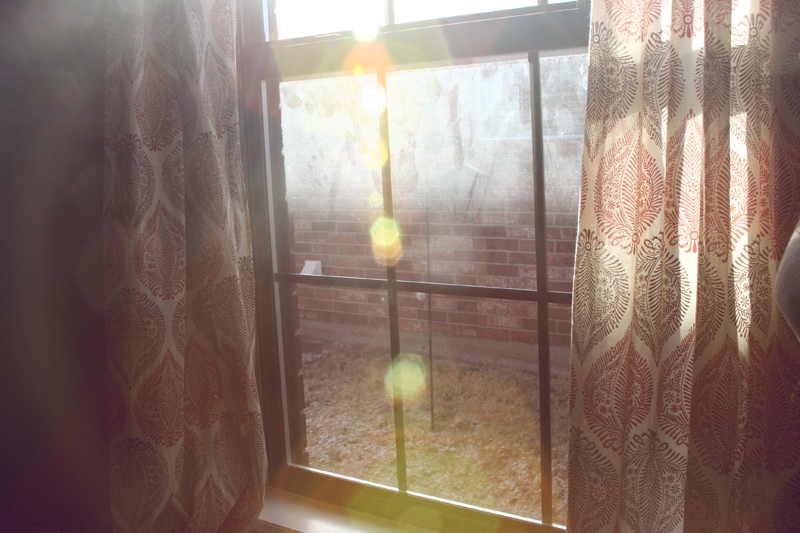 I like to do most of my work with the actual manual settings of the camera. ISO speed, white balance, and aperture are the ones I adjust for every single picture. 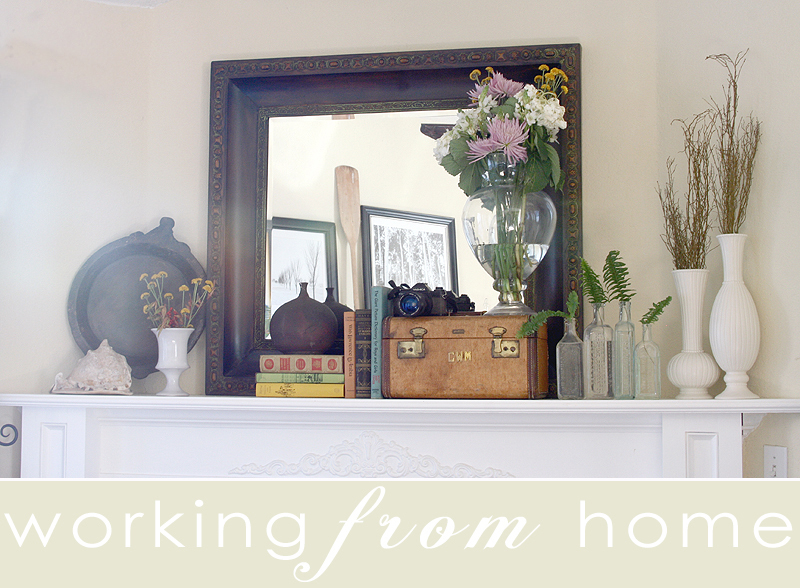 Kristina- I am dying to know your work from home ideas! I hope you get to accomplish your dreams. I owe you a big, long facebook message. Coming soon. Lis- I have never seen the commercial! I don't watch a lot of tv, but lately I've been making an effort to look for it. I wish it were on youtube, too. Melissa- I love it! I actually walk to there from work fairly often. Katie (the owner) is a real sweetheart, and she always brightens my day. She has asked me to put a few things in her store, and I'm really looking forward to it because I love her style. She's the one that puts on Dustbowl. Cynthia- I think I need to! I get asked so many times. The only hard part is that I want to do a tutorial with photos, and I just never think to ask Michael to take them so I can put one together. I always fix my hair when I'm getting ready for work and don't have time to stop and photograph it. It's kind of hard to explain without pictures, too. But maybe it's just because I'm a visual person. She falls in love- You're right, they're my Mom's parents :) My other set I never met. My Dad's Dad died when he was young, and his Mom died of breast cancer when he first moved to the states in the late 70's. I wish I had gotten to meet them! Amy- I daydream about coming to visit you guys probably 3 times a week. I can't wait to stick the little ones in backpacks and hike! 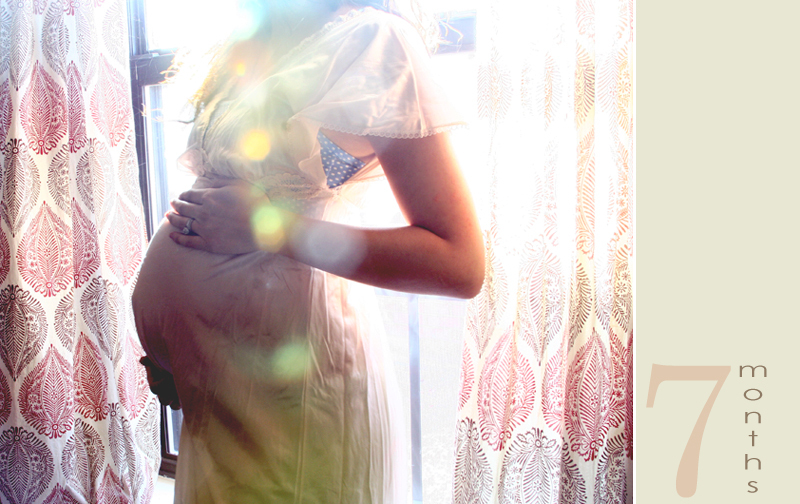 I am smitten by the photos of you in all your pregnant radiance. The light is magical and you look like divine. So neat that you can work on so many projects even while growing a baby. I love that photo of you and your fam on the GG bridge. That's right in my neck of the woods. Adorable. Your blog is very, very beautiful. I love these pictures of your family. What sweet memories.